If you need a reference for choosing the size of your Cole-TAC Suppressor cover, please CLICK HERE to view our Suppressor sizing chart. We provide a reasonable rate for shipping. Please keep in mind that all of your items are custom made the way you want. This means that it can take 2 to 3 weeks to make and ship your order. We try hard to ship out your items as soon as possible though. After your order does ship, you will get an email with the tracking information.  We are proud to announce the launch of Cole-TAC Europe and can ship directly from our own facility in Latvia. You can get the great same quality and customer service at www.coletac.eu that is found in our USA facility. With this addition, you can now get your Cole-TAC gear faster with much lower shipping costs. All gear sold in the USA is still manufactured here in the USA. We can ship internationally everywhere else, and the cost is calculated at checkout. After you enter your shipping information you will be able to select the Priority International shipping option and the cost will be displayed. International shipping can be expensive, but please keep in mind we do not make money on the shipping charges. We only charge what it costs us. If you are a dealer and would like to order our items, we do offer a discount to active dealers. Please email us with a copy of your business license and FFL. We will then enter you into our system and send you the new pricing. We offer a wide variety of customizing services. If you are looking for a specific change to our product we would be glad to try and accommodate. Our selection of colors is much larger than what we could possibly list on our website. If you need a custom color or camo pattern, we probably can get it. We can also personalize your items with embroidery. Since these services can vary in scope, please contact us for a custom quote. Thank you and we look forward to serving you.